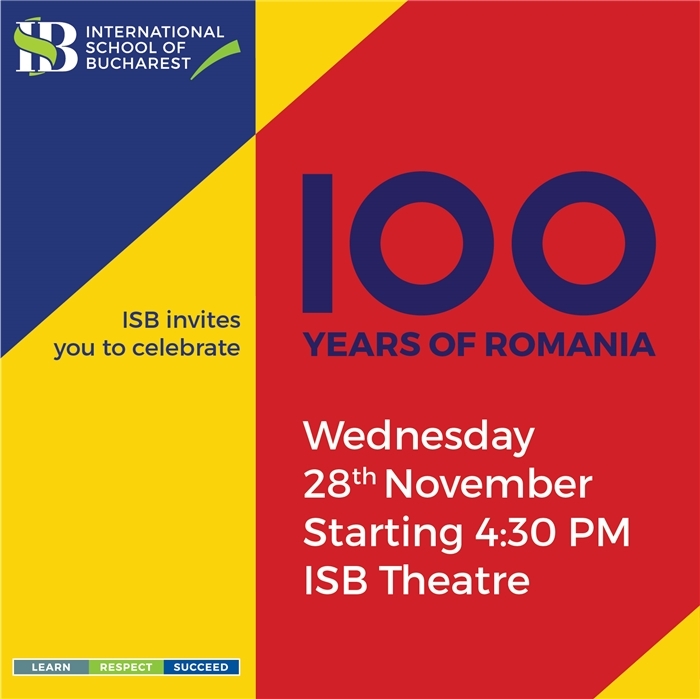 ISB has the pleasure to invite you to 100 Years of Romania Celebration which will take place at the school on Wednesday, 28th November at 4.30 pm. During the month of November our students have learnt about the Romanian culture and traditions, about Romanian history and its wonderful people. Our students are now ready to take the stage and be the ambassadors of Romania. They will recite Romanian traditional poems, wear costumes, perform dances and songs, short drama shows, and they will talk to you about famous Romanian inventors. We hope you will be able to join us on this very special event. Please r.s.v.p. to admissions@isb.ro or call 021 306 95 30 by 23rd of November.